Healthy Hotties: Why Do We Need Nutritional Supplements? A common complaint I get from clients, family and friends to whom I recommend nutritional supplements is that they don’t like taking “pills”. They think the pills are too big, too many and too expensive. I wish I had a short answer for the “Why do we need nutritional supplements?” question. That’s why I decided that my first blog post for “Healthy Hotties” would be about this subject. Let me start by saying that I am a Holistic Nutritionist that truly believes in a “Foods First” approach. Which means….yes, you guessed it: eat your vegetables, cut down on junk food, drink plenty of water and eat a lot of fiber-rich foods among other things. This is a very simplistic recommendation but a great starting point for anybody that wants to begin a healthier lifestyle. Most foods are harvested before they are ripe, that is, before they have developed their full nutrient potential. Foods grow in soils exhausted of their essential elements. If the minerals are not in the soil, they will not be in our food. Most of Canada’s soil is deficient in minerals – especially iodine, selenium, iron, zinc and chromium. Furthermore, synthetic fertilizers deplete minerals. Highly processed foods that are depleted of nutrient content. Food companies are only worried about making their foods taste good and long lasting (shelf life). What does that mean? Adding preservatives and flavour enhancers, in other words: chemicals! Genetically modified foods (GMO). Foods bred to resist disease or to retard decay and improve appearance but not for nutritional content[i]. Stress increases our demand for nutrients and if our nutrient level is low, it will deplete the body’s stores of vitamins and minerals. Lack of exercise. Inactivity contributes to poor circulation and inadequate lymphatic drainage. This affects the rate at which nutrients are delivered and toxins are removed. Biochemical Individuality. We are all biochemically different, thus, certain organs may be genetically weak or different in size, shape or ability. Such differences result in specific nutrient needs. Lastly, as Dr. David Rowland says, “Perhaps we could get all the nutrients we need from food alone some 100 years ago, before the dominance of “agribusiness” and processed foods. Nowadays this is becoming an increasingly naïve notion. Food supplements are no substitute for eating correctly, but they can be a wonderful enhancement to it”. I hope you found this information helpful. If you have further questions please do not hesitate to contact me (maria@rediscoveryourhealth.com). And remember: the key to a successful supplementation plan is to use it as a supplement to a healthy diet and having a health professional help you re-evaluate it at least every 6 months because your nutrient needs are in constant change. [i] Vanderhaeghe, Lorna and Bouic, Patrick. The Immune System Cure. Viking Canada. Toronto, ON. 1999. That's always a question many of us have. 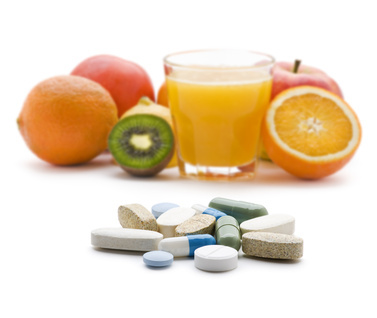 Why take nutritional supplements? I believe that these supplements are just alternatives. The natural intake of nutrients is still the first thing we should do. Victor, thanks for your comment. You are right, natural intake of nutrients should always be the first thing to do. However, we need to be realistic about the current quality of our foods. Decades ago, we could rely 100% on foods. Nowadays, that's not a feasible option anymore and that's when supplements have an important role.